Call 270-238-0938 to schedule your first appointment. Make Miracle-Ear® your choice for state-of-the-art hearing aids in Bowling Green, KY. Hearing aids today are highly sophisticated, and ours are the best on the market. An estimated 36 million people in the United States have some degree of hearing loss*, and nine out of ten of them can benefit from a hearing aid. In many cases, people don't realize they have hearing loss because it happens gradually. Once they have corrected their hearing with one of our hearing aids, they report major improvements in their quality of life. Hearing aids can often improve the social lives of those with hearing loss, as they're no longer afraid of missing out on conversations. They notice little sounds that they didn't even realize they were missing. Uncorrected hearing loss can lead to isolation and even dementia. Let our experienced specialists show you what's possible with a new hearing aid. Do You Suspect You Have Hearing Loss? When you visit our hearing aid center in Bowling Green, you'll discover and experience the Miracle-Ear® advantage. We're America's most recognized brand of hearing aids in part because of our commitment to the lifetime care of the hearing aids we sell. You can bring in any hearing aid you buy from us for free checkups. Call us today to learn more. 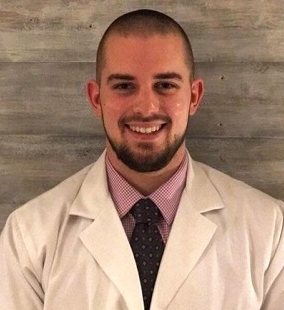 Blake is a licensed Specialist In Hearing Instruments, has a Bachelors of Science in Business Administration, a Minor in Healthcare Management and a Masters of Business Administration. Blake�s favorite part of working at Miracle-Ear is having the opportunity to change lives, bring loved ones back to their families, and the smiles on our patient's faces as they leave our office hearing a better day. 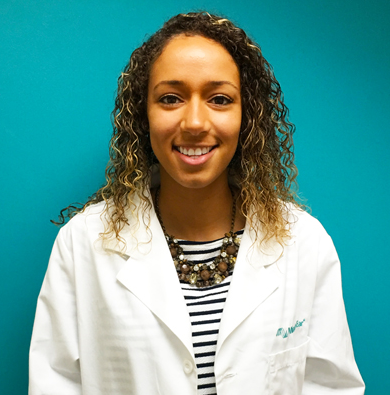 Amara graduated from Western Kentucky University with a Bachelor of Science in Exercise Science. Amara�s favorite part of working at Miracle-Ear is seeing the impact that bringing the gift of sound has on the lives of patients. I wore my hearing aids for about four hours last night, the only thing I can say is WOW, truly amazing. I was so impressed with the hearing aids that I sat on my front deck last night until around 11:00 p.m. just listening to all the things I have been missing. Thank you for such a wonderful Christmas gift. I love them. I just want to let each of you know how much I appreciated you helping my aunt “M___”—you were both so kind and patient with her. Hearing her family is so important. Thanks again. Just wanted to write another letter regarding the exceptional service given by you, as I said before I didn’t realize what I was missing in the hearing world, each day that passes gets better. With my career in law enforcement and having to work the street occasionally, it is a must that you know and hear what is going on around you. Thank you so much for the great service.